Sebastiano D’Aprile, a quintessential Renaissance man, was born, raised and schooled in the small Italian Renaissance city of Mantua in the northern province of Lombardy where William Shakespeare’s Romeo took refuge after being expelled from Verona. 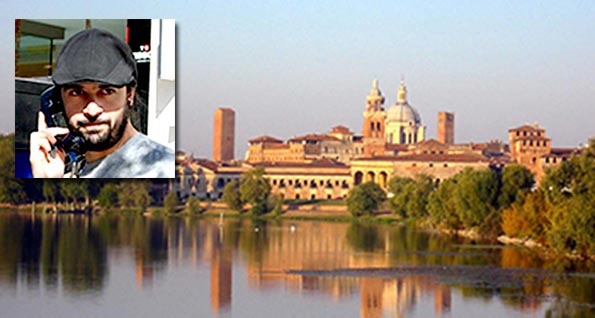 Driven by his need to create, Sebastiano left Mantua for college in Torino keen to learn everything he could about art and the technical and artistic fundamentals of the 21st century’s emerging art form: Computer Graphics and Animation. In my quest to fully understand ‘creativity’ and the inner workings of creative people I caught up with Sebastiano in L.A., where he is now pursuing his creative dream as a CG generalist at Moo Studios. During my virtual visit I told Sebastiano that I was taken by his work and that I’d like to learn how he got to the point where he is now able to create high quality works like his recent 2013 demo reel and ‘Rules,’ his animated short starring a bottle opener bouncing around in the desert searching for a wine bottle to open. I began my interview by asking Sebastiano when and where his creative journey started and how he arrived at this point in his career. Sebastiano told me that, “I started in Italy but didn’t initially study to become an artist. In high school, although I majored in technical studies and Electrical Engineering, I also studied some art and multimedia in art that included a very basic introduction to CG with 3D Studio MAX. I fell in love with CG immediately. I was impressed by the artistic and creative possibilities. I remember that for the final exam I did a CG video and it went way beyond my teacher’s expectations. I started by building a character. I textured it, I rigged it, I told a story with it, and, I’m super ashamed when I see it now. But, at the time I really liked it. It was my first CG animation. I asked him to tell me a little bit about his current day job and he responded by saying that, “For the past two years I’ve been working full time at Moo Studios, a small production company in Los Angeles. I started as a rigger, but I didn’t want to focus just on rigging so I’m a generalist there, and anytime computer graphics are involved in a project I am the CG and visual effects supervisor. I asked Sebastiano what his favorite CG tools are and how he uses them and he told me that, “I mainly use Maya for CG creation and Adobe After Effects for compositing. I know that there are a lot of people who are Nuke nerds and that there are also After Effect nerds who hate Nuke. I don’t love or hate any tool, but I’m pretty happy with After Effects. Especially because in most studios we don’t just composite CG elements we do a lot of motion graphics and we mix motion graphics with pure CG and for that I think After Effects is still the best tool. “How about tools for Vfx work?” I asked. “That’s my personal project. One time I didn’t have much to do and decided to make a short movie. In my mind I had an image of a corkscrew jumping around. 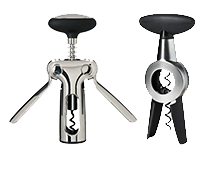 A corkscrew-bottle opener’s shape is very human like. At the time I had just moved to the U.S. and one of the things that I was most impressed by was the nature here, especially the deserts. Since I’ve moved here the desert has been a big part of my life and when I have a couple of days off I take long rides through the desert solo or with a friend. As I was saying, when I first moved here I was impressed by the desert and I had in my mind the corkscrew doing something and I decided to put the two things together. And, I wanted to tell a story in a short animation. Whenever someone sees it, it’s not very clear and I want to make sure that everyone knows that it was not my intention to be clear… Although this is my personal animation it’s a very impersonal story too. It’s called ‘Rules’ and shows my first impressions of the United States – Rules and desert. “Is there going to be a sequel to Rules and is there going to be a happy ending?” I asked. “I would tell them not to learn a tool just for the sake of learning that tool. Try to learn the tool while making something bigger. For example, always think about a story, think about a small animation or a still image and learn the tools that you can use to make that happen so you’ll always have something to show. While you’re involved in the process you may find out that you are a very good story teller or discover other abilities that you didn’t realize you had. Don’t try to learn a tool just because you want to add it to your resume. Try to do something bigger. Try to have all the tools you’re learning converge in your final work of art. Another good thing is to browse the web and bookmark everything that you like. We live in front of a computer screen and bookmarks are very easy to do. Just bookmark anything and everything that interests you. And, when you’re out and about be observant and take notes. I’m always on the lookout for awkward or funny human foibles and odd situations that can be turned into compelling animations. Bring a professional note pad with you like I do. I’ve always been fascinated by the creative process. Where does the inspiration come from? Is the spark always there? Is it persistent? My creative spark shows up rarely and unexpectedly and when it does I’m compelled to take action and create. But, once I’ve scratched my creative itch it disappears only to return again at another unpredictable time when the cycle begins again. Erratic creativity at best. In my quest to learn how truly creative people break out of the cycle and are able to consistently devote their lives to the pursuit of their art I decided to visit with ShareCG’s artists to learn how they tick and what gives them their magical powers of prolific creativity. To begin my journey I first chose to pay a visit with Paul Sutton who epitomizes the consummate contemporary artist and has more than 250 works of art posted just on ShareCG. Thankfully we live in a connected world where travelling from my home in Campbell California to ‘sit down’ with Paul Sutton who lives six thousand miles away in England, doesn’t require anything more than Skype and access to the web. I made this journey a week ago. Paul lives in the town of Newport Pagnell just 40 minutes north of London and next door to Milton Keynes, a large town that humorously holds on to its last vestiges of rural farmland with a scattering of cement cows who, Paul told me, sport socks during the winter to keep their feet warm, and stand incongruously dwarfed by the same super modern gleaming glass and steel buildings that acted as backdrop for the original Superman film. I was also curious about the genesis and creation of Force of Nature and Paul started be telling me that, “I’d like you to know first off that I do all my work using Poser Pro 2014, Adobe Photoshop, illustrator, and InDesign. After looking at Paul’s gallery of work I had to ask him how he was able to achieve the realism and humanism he does working solely in Poser. “I was a photographer for around 20 years and the photography in me wants me to reproduce the type of realism that I’ve done in my pictures. Not always, but it has to have some element of realism. 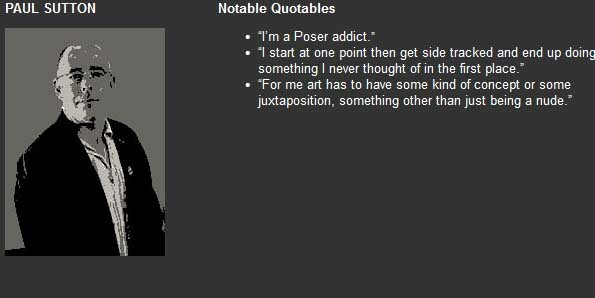 Since you can achieve realism with Poser why not do it? I wouldn’t like it to look stiff, I don’t want it to look like a blow up doll, and I’d rather have the real thing. I asked Paul if he was working on anything new that he wanted to share with ShareCG members. We plan to interview more ShareCG artists, animators and modelers so we can all learn more about the talented and creative people who help make this site as popular as it is. If you’d like to be considered for an interview please click the ‘Make a Suggestion’ link at the bottom of each site page and let us know about yourself. We have replaced the Star Search Challenge with the new and exciting ‘Get Reel’ challenge that’s designed to help individuals, students, consultants and creative firms get their work in front of thousands of prospective employers. We feel that this challenge will receive lots of quality work while giving entrants the chance to expand their reach and broaden their opportunities. Entrants are asked to Create a new demo reel or select their best and drop it into the Demo Reel Challenge. They will present their animation, Vfx, modeling or 3D Art skills to win one of three superb prizes and be seen by thousands of potential employers. Plus, all entered work will be evaluated by our professional Evaluation Board who will grant prestigious Star Awards and provide feedback to artists with outstanding submissions. Students, individuals, consultants and creative firms are all welcome.